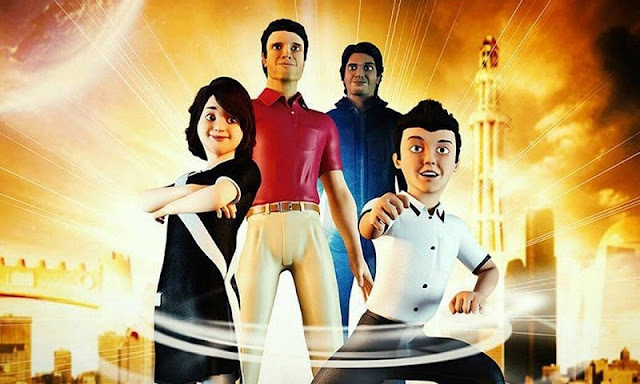 HUM TV’s animated movie Tick Tock that was released on March 23rd this year, did not fare well on local cinema and raised some serious questions over the bar of animated movies in Pakistan. Those who went to watch it termed it as very basic and amateurish animation that should be aired on TV instead of being put up in cinemas. It seems as if the makers have taken the feedback of cinema-goers way too seriously as the film is now all set to premiere on TV over weekend. As per HUM TV’s official Facebook Page, the animated film will premiere on World TV today Sunday, 9th of September at 5:50 pm. Directed by Omar Hassan and produced by Sana Tauseef, Tick Tock is about two teenagers Dania and Hassan who join their teacher KK on an adventure filled with time travel. They have to stop the villain Gobo from changing the history of Pakistan for the worse. The adventure-filled series, that features voices of talk show host Maria Memon and actors Aly Khan, Ahsan Khan and Ghulam Mohiuddin, basically aims to educate children on history. Let's see how this premiere is received by the audiences specially young children.